White Lea Farm is in an environmentally sensitive area containing interesting wildlife and fauna. 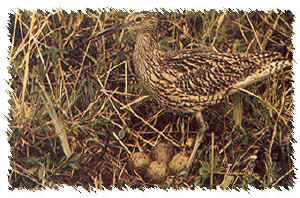 Lapwings , Snipe, Curlew,Woodpeckers and little owls are just some of the regular residents of the farm. Some of the hay meadows are closed at breeding times so if in doubt please ask. Don't forget to bring your binoculars and cameras. The Peak District Park and the Staffordshire Moorlands have some of the best scenery in England. It is best seen on foot or by cycle. There are several cycle path routes which totally avoid car traffic. If its water sports you want or a days fishing then visit the nearby lakes at Rudyard, Tittesworth or Carsington. The more energetic can take advantage of the many climbing venues in the area. The closest area being the stunning Roaches and Hen Cloud which is a must for both walking and sight seeing. Nearby lies Rock Cottage and in Back Forest is Ludd's Church an a geological chasm steeped in folklore. If you are really lucky you may catch site of the wild wallaby's in this area. For something gentler you can visit the nearby underground caverns at Buxton and Castleton and Matlock. 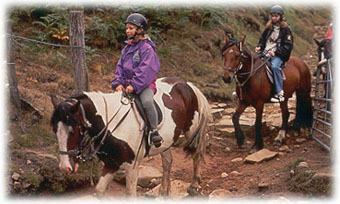 White Lea Farm can offer livery and grazing for holidays with your horse at no extra charge.. If mechanical white knuckle rides are more your style then visit the famous Alton Towers theme park which about 10 minutes drive by car.